Is it odd to be comforted by the moon? I have to greet the moon when I first see it every night. For me the moon brings peace. I hear so often about the term go to the light, or surround yourself in light, ect. I assume it's a figure of speech but the light to me brings distraction. And is often blinding. At night all your senses have to work together, in the day most people have to intentionally block out things just to function. Thanks sentient.. this is nice artwork! Not at all odd! Moon energy brings peace, as does the night..
Sunlight brings distraction and generates action and extroversion.. many people are hopeless sun worshippers! 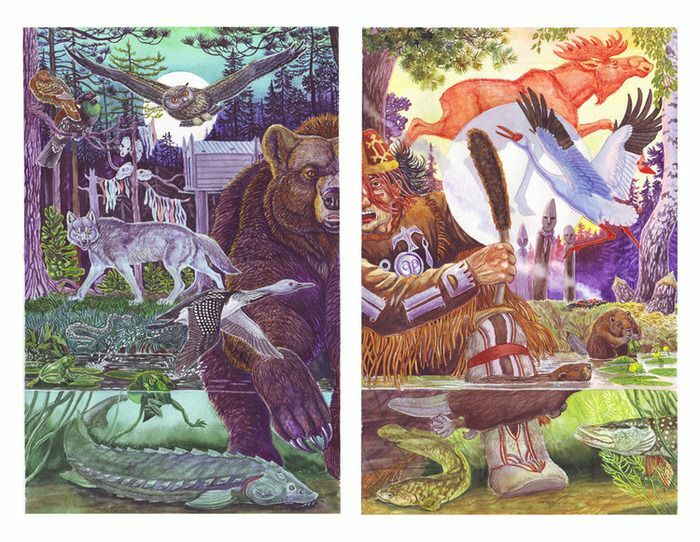 Nikolai seems to be one of those ‘nature souls’ who loves and is totally at home in wilderness, therefore he has appreciation and an understanding of native cultures he illustrates. 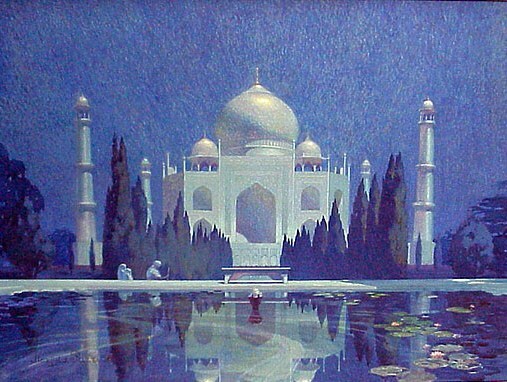 Full moon in American art and Maxfield Parrish comes to mind. “Peaceful Night” is another one of his, which captures the magic of the full moon rays imo. Yeah I totally get you..! I'm fond of the moon, and always liked mystical landscapes in art and fiction. You may like this: https://www.google.com/search?q=shad...w=1327&bih=686 ..
Ahhhh yes Altair, weeping willows and the moon ……..